Let us treat you with style. 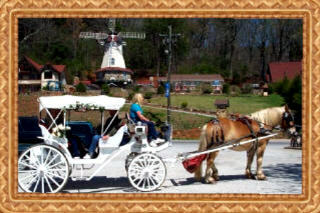 We are located in the mountains of Helen, Ga. and are available for Historic Tours, Weddings, Birthday Parties, Proms, any day you want to make special. 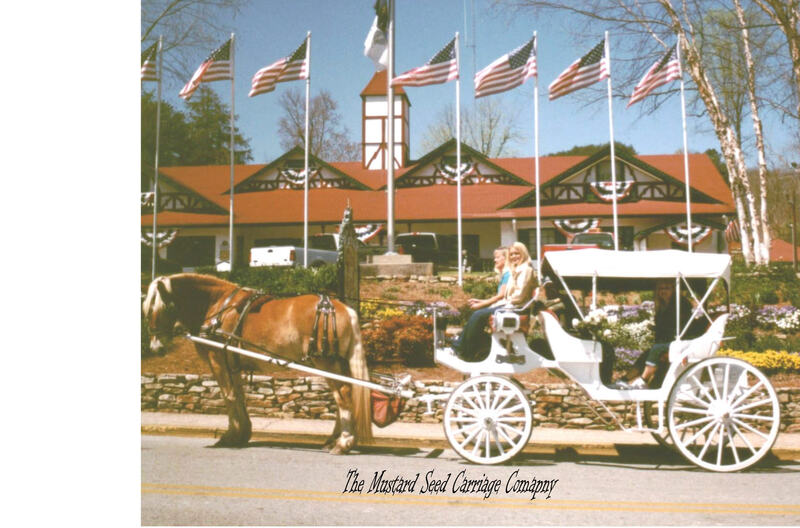 With the faith of the Mustard Seed we will fulfill your carriage needs. Our carriage drivers are licensed professionals here to serve you. Come to the corner of Riverstreet where you find your carriage awaits. Just step up to any driver and see Helen like you never have before. What sets us apart from the rest? Helen does. Come experience the true beauty of a town that caters to tourist. There is so much to see and do in Helen. Rates as low as $15.00 for a party of four. Get directions from your house right to the fun of Helen.